Technology: Blasting and Peening Services are abrasive finishing services used in parts manufacturing to improve surface finishes and material characteristics. These services usually involve high velocity impingement of various media on parts surfaces typically conducted within an enclosure. Abrasive blasting is often employed to clean scale from parts or to strip paint from parts. 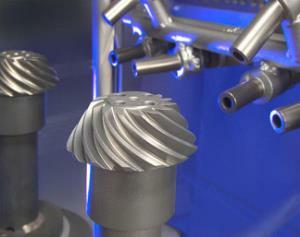 Peening is used to improve fatigue life of machine parts such as connecting rods. It introduces compressive stress on the surface of parts to reduce the incidence of tensile failure from cracks. Peening is used after many manufacturing methods such as machining, forming, heat treating, etc. to remove the residual tensile stresses that build up during these operations.